London (CNN) — Mark Lewis, a famed libel and privacy lawyer, is leaving Britain. Worn down by years of anti-Semitic abuse and death threats, he has decided enough is enough. The 53-year-old plans to begin a new life in Israel with his partner, Mandy Blumenthal, by year’s end. Both were born and raised in England. Both are very ready to leave. Two people have previously been imprisoned for threatening to murder him for being Jewish, Lewis said. Now, he said, he’s reached the stage where he’s “almost being desensitized to the threats” — from both right and left — such is their regularity. The couple’s decision comes as accusations of anti-Semitism dog Britain’s main opposition Labour Party and its leader, Jeremy Corbyn. At the same time, incidents of recorded anti-Semitism are near record levels. Lewis sees Corbyn as a catalyst for anti-Semitism rather than a threat in himself, saying the Labour leader has “moved the rock and it’s the people who are crawling out from underneath it who are the problem.” As a public figure and prominent pro-Israel voice, Lewis is an easy target for abuse on social media. 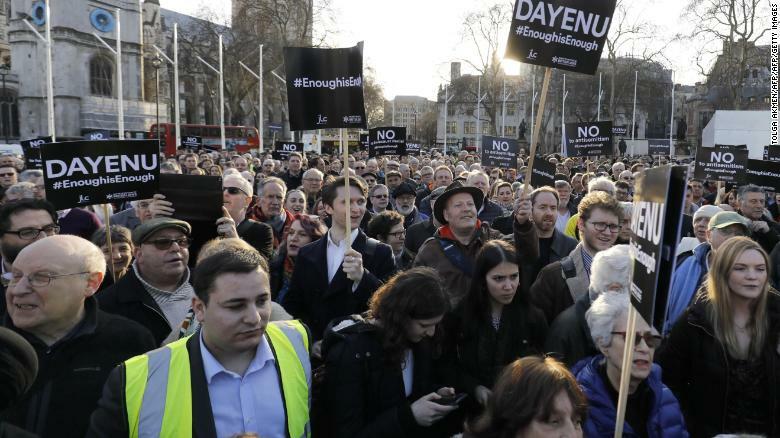 The current climate has shaken Britain’s roughly 300,000-strong Jewish community. “We are seeing British Jews increasingly talking about leaving and also seeing signs of people actually leaving, not just to Israel, but also to the United States and Canada — and Australia is a destination as well,” said Gideon Falter, chairman of the Campaign Against Antisemitism (CAA). It’s hard to pin down exact figures on how many people have left or are actively considering uprooting their lives, since Israel is the only country globally that specifically tracks the immigration of Jews, Falter said. Some British Jews who have the financial means have started to consider buying property in Israel, Falter said, even if they aren’t planning an imminent move. Of course, not all can afford to relocate even if they want to. “It’s a very sad state of affairs because we have all grown up here and for most us this is where our grandparents found refuge during the darkest days of humanity,” said Falter. The current situation is complex and involves shifting political sands, social media’s capacity to echo and amplify the views of a minority, and a long-running undercurrent of anti-Semitism. The seeds of the crisis lie in Jeremy Corbyn’s election as Labour leader in 2015. 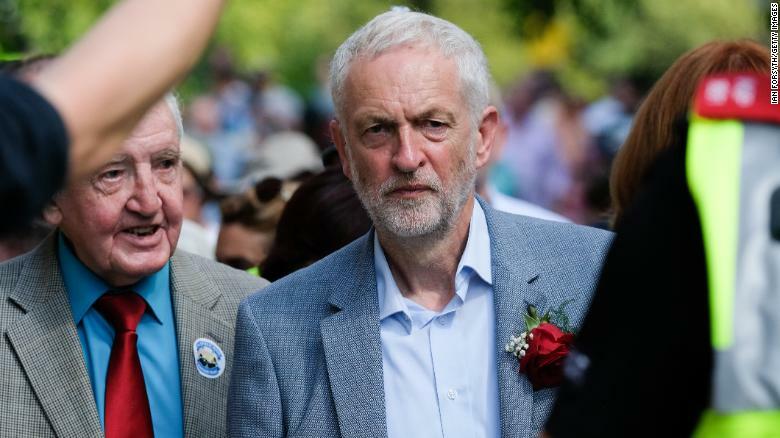 Corbyn, who long-served on his party’s backbenches in Parliament, has a history of associating with fringe left-wing groups whose support for the Palestinian cause often bleeds into anti-Semitism, wrote political commentator John McTernan earlier this month. When Corbyn became leader, those views were brought into the mainstream. 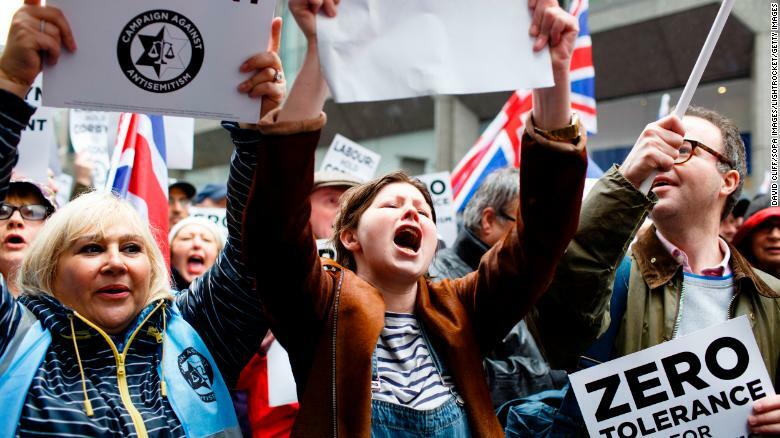 Demonstrators stage a protest against anti-Semitism in Britain’s Labour Party in April. The dispute within Labour came to a head last month, when the party’s governing body adopted a new code of conduct that included the 38-word International Holocaust Remembrance Alliance (IHRA) definition of anti-Semitism, but not all 11 examples of what could constitute anti-Semitic behavior. Jewish groups — and some senior Labour figures — have called for the party’s leadership to adopt the IHRA definition in full, but the party leadership appears to be concerned that it would inhibit criticism of Israel and its policies. 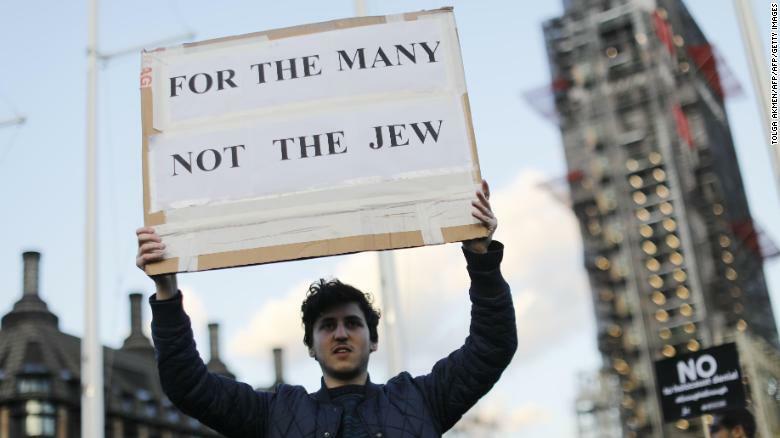 On July 25, Britain’s three leading Jewish newspapers — the Jewish Chronicle, Jewish Telegraph and Jewish News — took the unprecedented step of publishing the same front page, with the headline “United we stand,” in which they argued that any Corbyn-led government would be an “existential threat” to Jewish life in Britain. 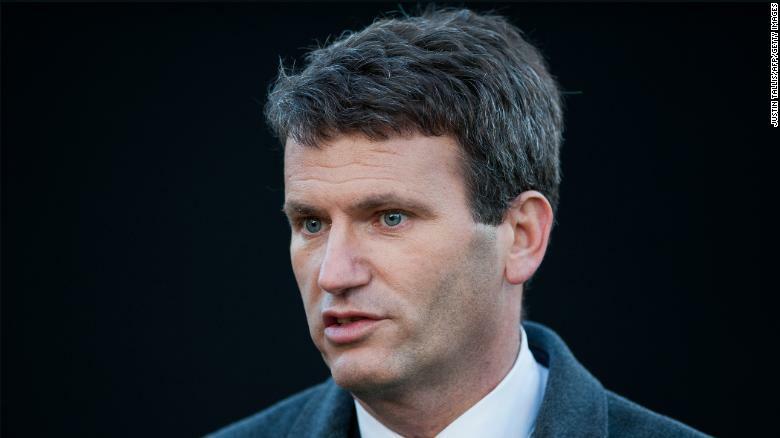 He acknowledged that Labour had been “too slow” to take action over anti-Semitism within its ranks but also said instances of it had been few. It’s a huge step, complicated by the fact that he has multiple sclerosis, doesn’t speak Hebrew and won’t be qualified to practice law in Israel. But Lewis — who plans to continue to practice in Britain through remote working where possible — is adamant that it is necessary. “At a point you think, enough is enough,” he said. “I still get all this abuse and I think it’s not worth a candle. I don’t need to keep on fighting against people. It seems that my life is all about fighting to justify my own existence and I shouldn’t have to do this. Blumenthal, also 53, can “get by” in Hebrew and says she is feeling “very positive” about the move. She had a very British upbringing, she said, with a father who served in the military and as Lord Mayor of Birmingham and a mother who was a magistrate. The family embraced both British and Jewish culture. “Sunday roast lunch and Friday night dinner — both parts of the tradition were very much part of our lives,” she said. But in more recent years, Blumenthal said, there’s been a “snowball effect” where it appears to have become acceptable in British society to be anti-Semitic. “I’ve seen too much, whether it’s personal things, or things that have happened to friends,” she said. Blumenthal, an outspoken pro-Israel campaigner, fears that verbal and physical abuse against Jews will escalate into more serious harm or death. “We are at that point in England. We get death threats. I’ve had different things saying that I should be gassed to death on social media,” she said. Similarly, Jewish journalist Miriam Shaviv described in a piece for the Jewish Chronicle in April how she came to the “heartbreaking” realization that her “family’s longterm future cannot be in the UK,” although she’s not yet ready to leave. 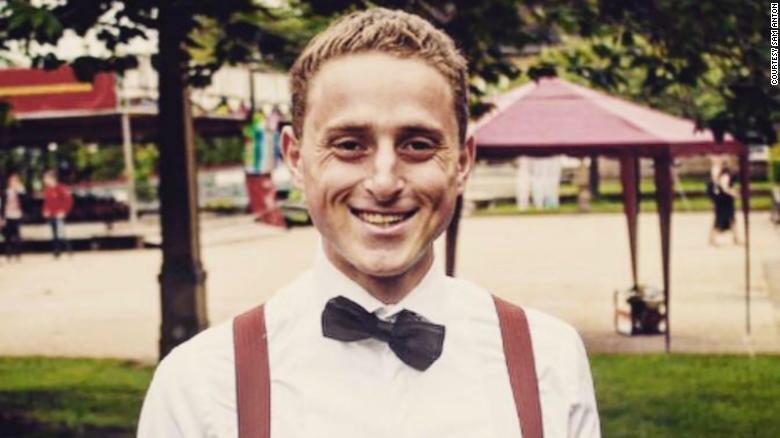 By contrast, 20-year-old Sam Anton, who’s studying history and French at Durham University in northeast England, questions the warning of an “existential threat” under a Corbyn government, saying the issue is more one of Jews being shut out of Labour politics. Anton, whose parents and brother are Labour Party members, doesn’t consider Corbyn to be an anti-Semite as such but believes “he doesn’t want a strong Jewish voice in the Labour Party” because Jews “tend to push Labour towards the center” at a time when Corbyn wants to shift the party further left. “I’m proud to be British, I don’t have an Israeli passport, I would only move to Israel if I had to,” he said. At the same time, he said, some friends of his — particularly those who live in heavily Jewish areas of north London, where a collective feeling of threat is greater — feel quite differently. Community Security Trust figures show that more than 100 anti-Semitic incidents were recorded every month from January to June this year, with the highest monthly totals in April and May. The group says it is “likely” that Gaza-Israel tensions and the turmoil within Labour “partly caused” the increase. “I don’t know how many people are actively thinking on those terms of leaving the country but certainly a lot of Jewish people are worrying about what the future might hold,” Dave Rich, head of policy for the CST, told CNN. Although it’s hard to quantify, the publicity around anti-Semitism may have led both to more incidents occurring and to more being reported, he said.